Late Elementary Level Piano Solos. 8 piano solos that even beginners can master. The Phillip Keveren Series Features 24 timeless children's songs expertly arranged especially for beginning pianists by Phillip Keveren. The Phillip Keveren Series Excellent solo arrangements for beginning pianists of 24 Sunday school favorites. The Phillip Keveren Series 8 timeless pieces by Mozart * Beethoven * Grieg * Tchaikovsky * Bach * Pachelbel * Elgar. Easy arrangements of 8 top hits from the Charts arranged for beginning soloists. Solo arrangements of 8 fantastic standards, playable by beginners. The Phillip Keveren Series 20 beloved songs of the Holiday Season arranged for beginning soloists with Phillip's distinctive touch. Features easy arrangements by Bill Boyd of 10 beloved Rodgers and Hammerstein songs from this beloved musical. 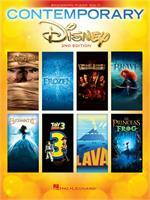 Arrangements of 8 favorite songs from 8 great Disney films, perfect for the beginning soloist. Beginning pianists will love this collection of easy solo arrangements of 8 all-time Disney favorites. This second edition features an updated song list of 10 recent Disney hits, including: Almost There • For the First Time in Forever • He's a Pirate • I See the Light • Lava and more.